Protocol Manager™ software enables communication and control between a personal computer and up to 32 Despatch ovens equipped with Protocol 3™ or Protocol Plus controllers. The user friendly software allows oven control, recipe download and data logging. The software makes it easy to set up an oven network to access, operate and monitor multiple ovens from a single computer, which can be located up to 3000 feet away. 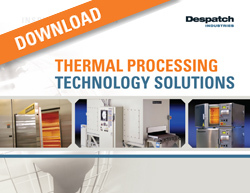 The software displays key operating information and allows you to program time and temperature settings, including complex ramp and soak temperature profiles. You can set up a profile from the PC and then download that same profile to multiple controllers. You can also upload an existing profile from a particular controller to the central PC. Protocol Manager™ records operating information, including times, temperatures, set points, alarm conditions, operators, and lot numbers on the PC ensuring process integrity throughout the equipment set. Data is written in an editable form that can be easily saved in an Excel format. Up to 1000 meters from the host computer to the furthest distant oven. 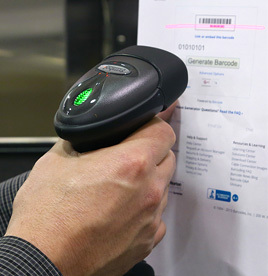 An optional barcode scanner that connects to your computer is available which can scan-in recipe parameters. Lot number and item number can be scanned-in with a second barcode.